103.7 The Hawk rocks with Zeppelin, Floyd, Stones, Petty and the Who. Bob and Tom can be heard in the mornings, and Sam Talkington hosts ‘The Flight Home’ from 3pm to 7pm. WQUS plays artists like Aerosmith, Pink Floyd, the Doors and John Mellencamp. Don't miss the WQUS local morning show with Carl Coffey, always playing 10 in a row! Rock 102.9 plays great songs from artist like Dire Straits, Bon Jovi, Lenny Kravitz, Aerosmith, Tom Petty, R.E.M., Pearl Jam, Eagles, Van Halen, AC/DC and more. Q107 is the only choice for real classic rock in east Texas. Wake up with John Boy and Billy in the morning, and listen to music from Black Sabbath, AC/DC, Cheap Trick, Queen and more all day. 95.5 GLO is Peoria's classic rock radio station! Wake up with 'The Bob and Tom Show' weekday mornings and get the best classic rock from the Beatles, Led Zeppelin, AC/DC and Pink Floyd! 103.7 The Loon plays the best classic rock music in St. Cloud, Minnesota. Listen for 'Baxter's Morning Sideshow' and radio DJs including Lynn Quale, Sloan, Chris Chapman and Jenna James. Eagle 106.3 plays the best classic rock in Texarkana. With it's focus on the '70's and '80s, the Eagle delivers the goods. Listen to 'Bob & Tom' in the morning, BSU sports and classic rock all day! 98.3 The Snake is the classic rock station in the Magic Valley. 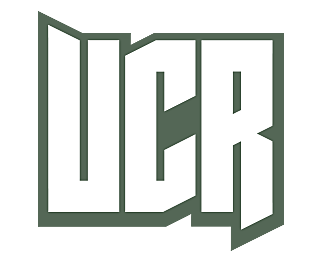 94.3 plays northern Colorado's greatest hits from the late '60s to the early '80s. Relive great memories with the Beatles, Journey, Billy Joel, the Eagles and more classic rock radio favorites. 106.9 The Rock is Victoria's home of rock n' roll, with the best classic rock and the best new rock. Nobody plays more core artists and new music than 106.9, south Texas' home of rock n' roll. 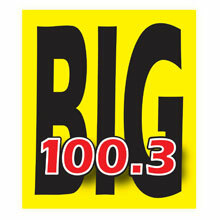 BIG 100.3 is DC's Bigger Better Classic Rock and home of 'The BIG Morning Show' with Tommy Griffiths from 5am to 10am. This is the Capital's only classic rock station.